Previous edition: New York: Random House, 2006. 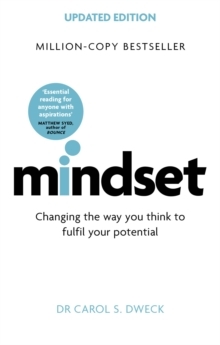 World-renowned Stanford University psychologist Carol Dweck, in decades of research on achievement and success, has discovered a truly groundbreaking idea-the power of our mindset. Dweck explains why it's not just our abilities and talent that bring us success-but whether we approach them with a fixed or growth mindset. She makes clear why praising intelligence and ability doesn't foster self-esteem and lead to accomplishment, but may actually jeopardize success.